David and Victoria Beckham did it. So did Reese Witherspoon. And countless other parents have selected a baby name inspired by an American state, city, town or borough. Why? Because these USA inspired monikers are beyond adorable! 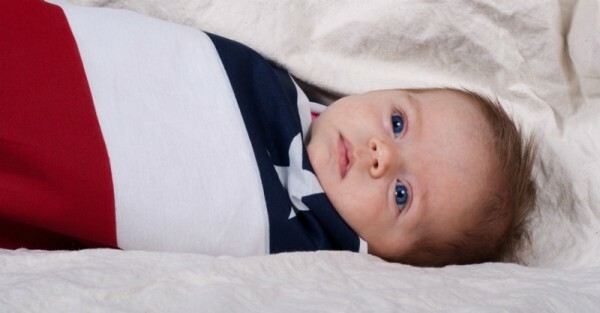 Regardless of where you’re living or whether or not you’re celebrating Independence Day today, you have to admit – these baby names are sweeter than apple pie. Australians are famous for their interesting choices in place names (I live in a suburb called Yorkey’s Knob. Not even joking. ), but you have to admit there are some popular Aussie cities that double as cute baby names (Sydney, Adelaide and Bowen to name a few). We’ve got a whole list of them in fact (see our post on Aussie-inspired baby names). It turns out, baby names inspired by places in the United States are just as cute. But don’t take our word for it – have a read through our 50 favourites (in honour of the 50 states – see what we did there?) and see which ones top your list. This once super-popular name is falling out of favour – fast!